The fall 2014 newsletter has some valuable references for self-care and reflective practice. One of the DCRC resources that supports reflective practice (which actually leads to self-care) is a tool called the Reflective Checklist. The Devereux Reflect Checklist for Infant & Toddler Caregiving and for Preschool Teaching Practices is designed to help you reflect on and intentionally use practices that promote children’s social and emotional health. The items on the Reflective Checklist nurture the within-child protective factors measured by the DECA assessments: Initiative (IN), Self-Regulation (SR), and Attachment/Relationships (A/R). 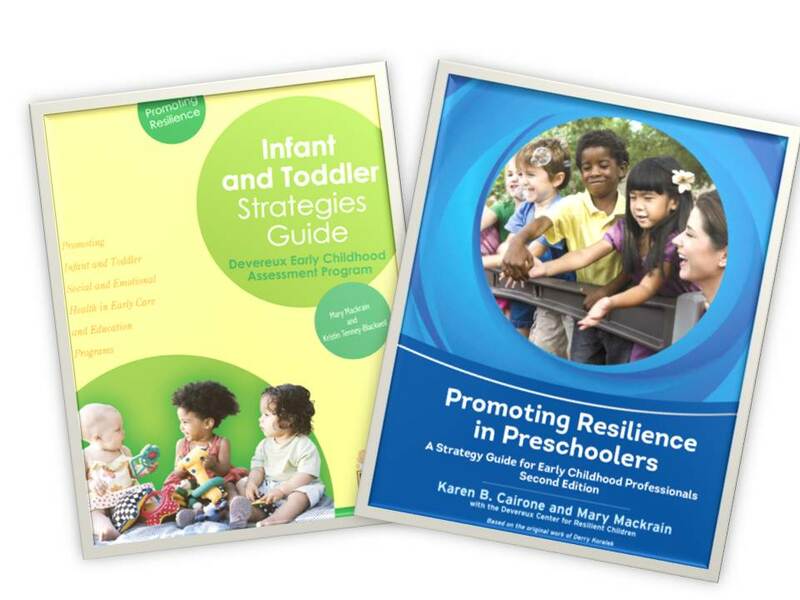 Each item on the Reflective Checklist has been identified by research as a best practice for promoting young children’s social and emotional health. 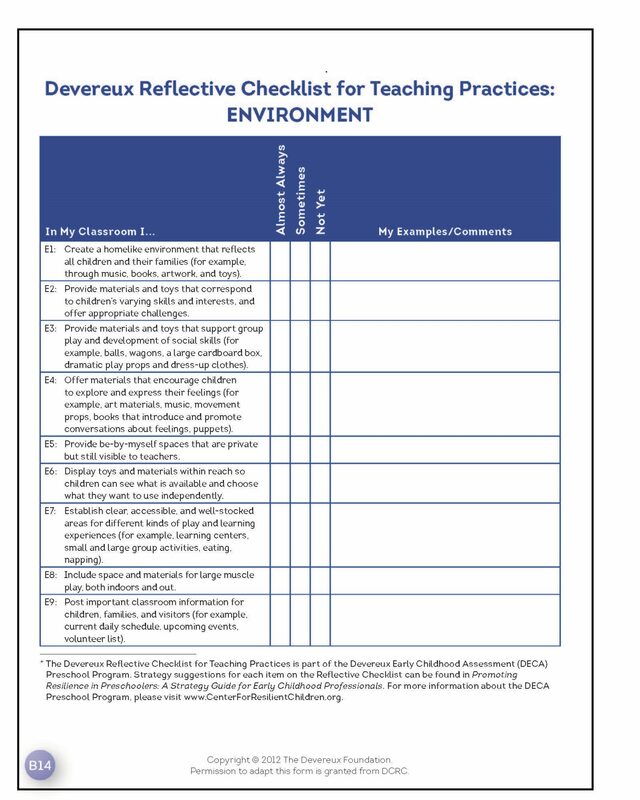 The Reflective Checklist tools help to promote quality for all children and are used as part of the Devereux Early Childhood Assessment (DECA) Program, but you do not need to use the DECA Program to benefit from reflecting on quality. These tools are great for any teacher/caregiver who is running low on time for reflection, but would like a quick and easy way to slow down and think about her environment, interactions and daily program. For free downloadable Reflective Checklist forms for Infants and Toddlers click here! For free downloadable Reflective Checklist forms for Preschool click here! To begin, reflect on your teaching/caregiving practices over the past four weeks and rate each item on the Reflective Checklist as Almost Always, Sometimes, or Not Yet. You may choose to complete all 4 or 5 categories at once, or take one category at a time. There is a column labeled examples where you can list examples of practice that are happening in your program. Next, take time to reflect on all the Almost Always ratings that you have. Celebrate your successes! Look at any items that are not happening yet and choose one or two that could be strengthened. Make your own action plan or see our website for a Group Action Planning tool that can help. For free downloadable Planning tools click here! Finally, check out the DECA Program strategies guides. You will find a chapter dedicated to each of the categories that is chock full of wonderful social and emotional strategies. You can also use other resources and your own practice wisdom to develop strategies. Remember — Reflection is a gift you give to yourself. Do not use these tools as a means of grading yourself or being hard on yourself. Simply use them to make the important act of reflection as easy and timely as possible.